Resonator Door Chimes generally sound on tone bars and have exposed resonator chambers to amplify the sound. This chime has all those features in a reduced footprint. 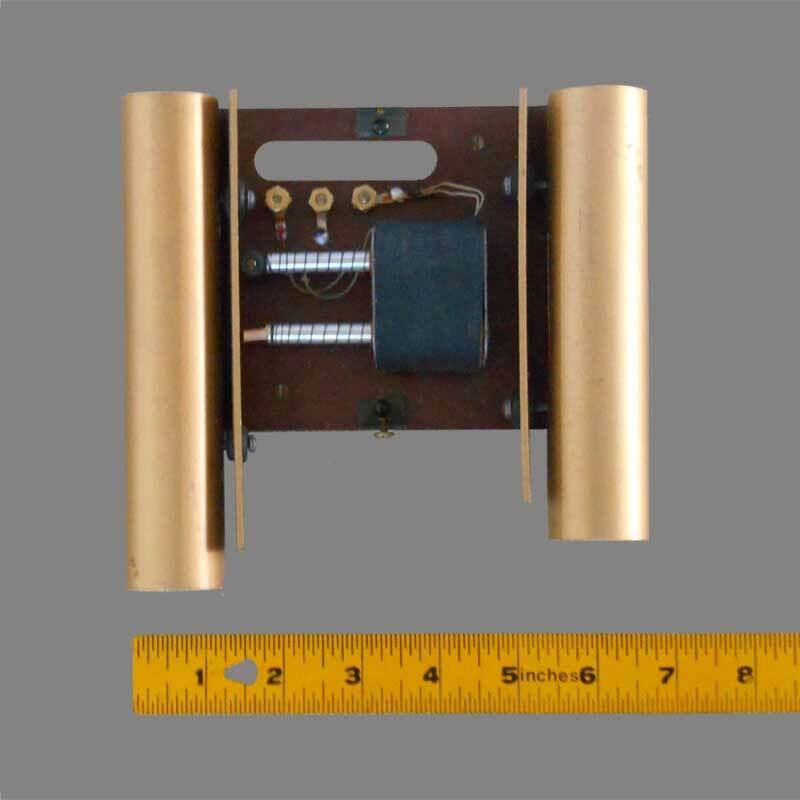 Like the miniature Chimette without resonators, this chime would be a direct replacement for a doorbell as it would fit in a small space. 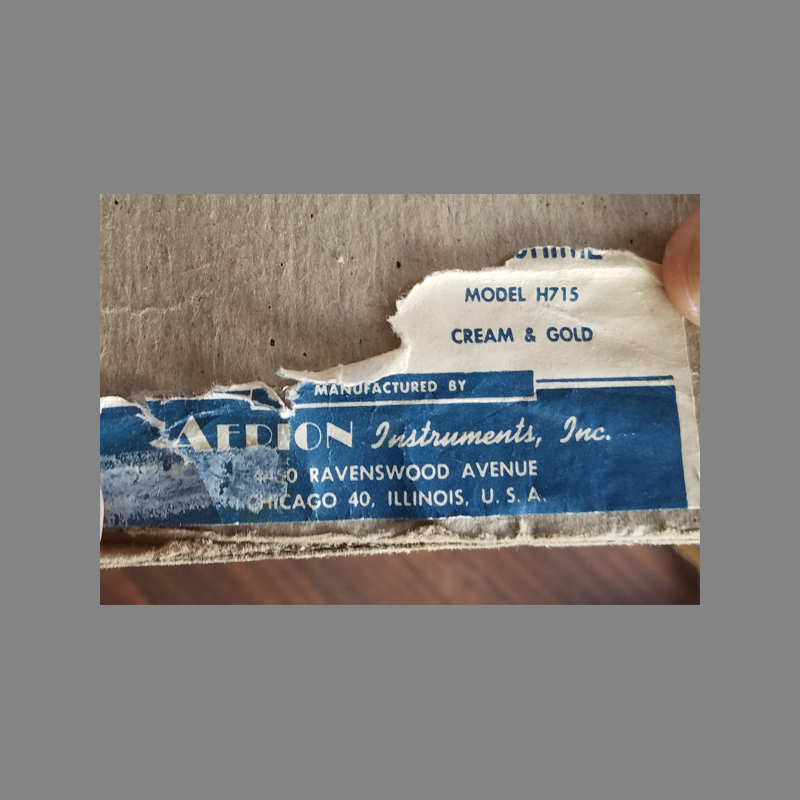 This chime was manufactured by Aerion Instruments of Chicago, Illinois. This chime is assumed to be 1940s to early 1950s as the cover is made of aluminum which was not prevalent before World War 2. 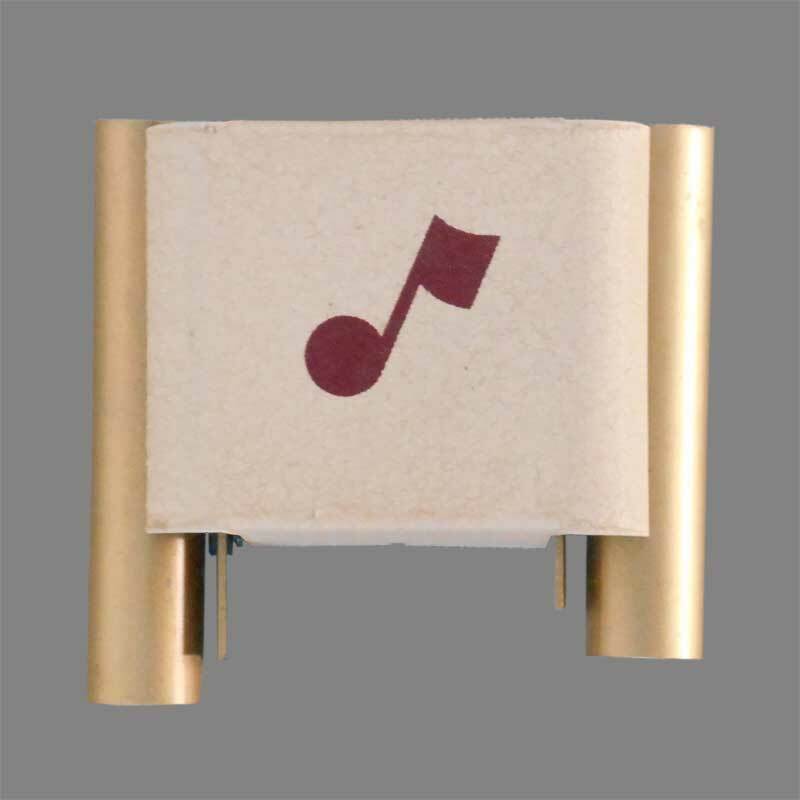 However, this chime shares many features with pre-war chimes such as wooden strikers and heavy solenoid windings. Please contact the Doorbell Museum if you have further information about this door chime. 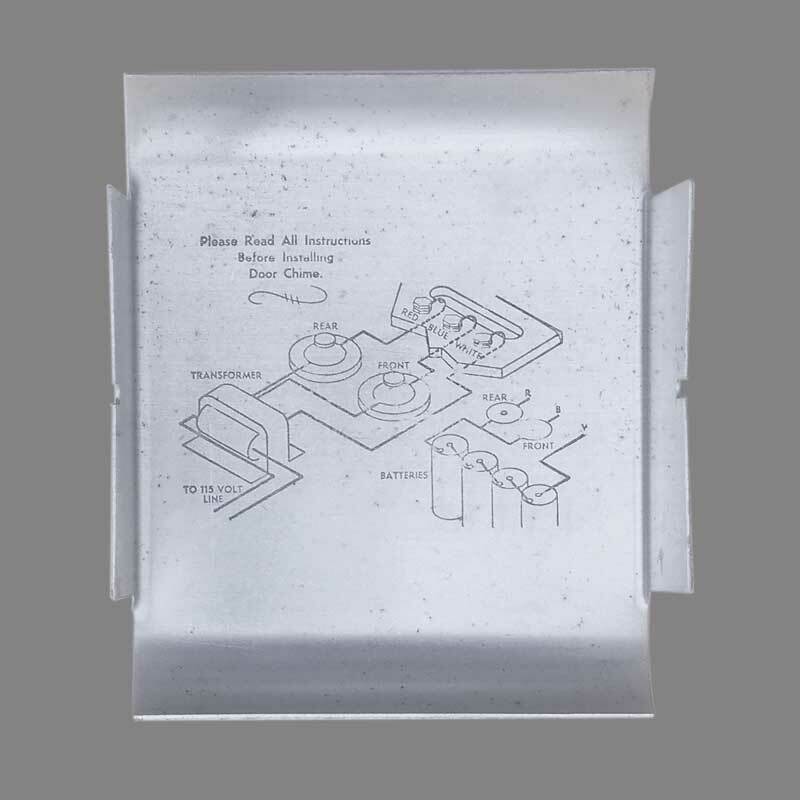 Materials Cover: Crinkle painted aluminum. 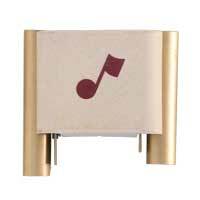 Silk screened musical note. Dimensions/specifications 6 1/4 inches tall, 6 3/4 inches wide, 2 1/8 inches deep. the model says its a H715 labeled cream and gold.